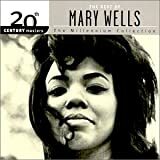 Jokes about Mary Wells from the largest music humor site on the web. Check out the index for other performers we have jokes about. Mary Wells was standing in line at the punchbowl, when some guy cut in front of her. Angrily Mary said, "You beat me to the punch!"